A Scientist Debunks The 'Magic' Of Vitamins And Supplements : Shots - Health News Physicians are partly to blame for the increasing popularity of untested treatments, says Dr. Paul Offit. Rather than pushing back against misguided patient demand, he says, doctors have "acted like waiters at a restaurant, simply asking, 'What would you like?' "
Ads often tout dietary supplements and vitamins as "natural" remedies. But studies show megadoses of some vitamins can actually boost the risk of heart disease and cancer, warns Dr. Paul Offit. "If you take large quantities of vitamin A, vtamin E, beta carotene [or] selenium you increase your risk of cancer, risk of heart disease, and you could shorten your life," says Dr. Paul Offit, a researcher at The Children's Hospital of Philadelphia. Many large studies in recent years have shown that vitamins and dietary supplements rarely help and often hurt, Offit says. Yet a huge number of people still believe that these products will improve their health. So, Offit says, he decided to challenge the false beliefs of "the church of vitamins and supplements." Offit made the remarks during an appearance in Washington, D.C., Monday to promote his latest book: Do You Believe in Magic? The Sense and Nonsense of Alternative Medicine. Offit, an infectious disease specialist and the co-inventor of a rotavirus vaccine, is best known for publicly challenging groups that claim there is a link between childhood vaccines and autism. That effort often pitted him against actress Jenny McCarthy, who became a spokeswoman for anti-vaccine groups. One big problem with dietary supplements is a 1994 law that exempts them from the tighter scrutiny the FDA applies to its regulation of medicines, Offit says. So the makers of a garlic supplement can say that it "supports cardiovascular health" even though a government study found that garlic supplements didn't lower cholesterol. Meanwhile, Offit says, patients clearly benefit from a range of FDA-approved statin drugs that actually do what garlic supplements claim to do. Dietary supplements are often advertised as "natural," Offit says, even though that term can be misleading. For example, almonds are a natural source of vitamin E. But you would have to eat 17 pounds of almonds to get the amount of vitamin E in a single capsule sold by one supplement maker, Offit says. "So how is this a natural thing to do?" 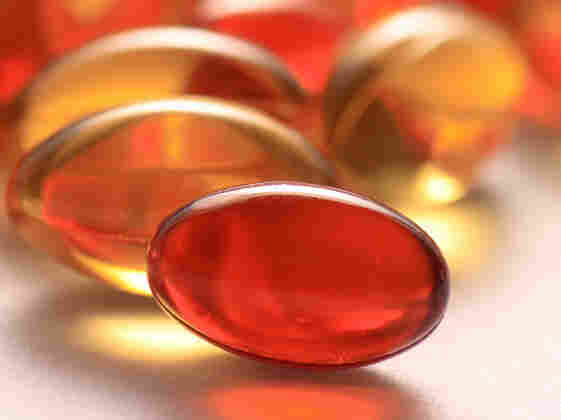 Offit says doctors are partly to blame for the growing popularity of high-dose vitamins and other dietary supplements. Rather than pushing back against patients who want to take them, he says, doctors have acted like waiters at a restaurant, simply asking, "What would you like?" Many hospitals also include unproved dietary supplements in their list of medicines available to patients, Offit says. But he says his own institution, The Children's Hospital of Philadelphia, plans to remove nearly all supplements from its list later this month. Offit says his attack on dietary supplements has generated a steady stream of hate mail. But he says it's not as harsh as the hate mail he used to get from people who believe vaccines cause autism. "This is more, I'm 'a liar and a shill for the pharmaceutical industry,' " he says, "not, 'You're going to hell.' "
Offit has some strong defenders, though, including former President Jimmy Carter and Carter's wife, Rosalynn. They sat in the front row at Offit's appearance in D.C. And during a question and answer session, the former president rose to tell Offit: "You've been a hero around our house for a long time."